Spencer Parker stops by this week for a lengthily chat with Dustin. Spencer found success on Rekids like a million years ago (ok, 10). Since then, he went on to release various EPs for labels like Buzzin Fly, Ovum and an album on Nic Fanciulli’s Saved. Since then, he started a new label “WORK THEM Records” which focuses heavily on techno and house tools for DJs. The label has experienced quite a bit of success since its’ inception 3 years ago. Aside from including his own music on the label, he features established acts such as Radio Slave and Rodhad, plus newcomers such as Anetha and Setaoc Mass. 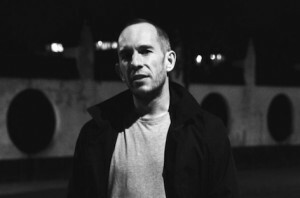 Spencer also happens to be a veteran DJ who regularly finds himself playing at credible venues such as Panorama Bar (Berlin) and Concrete (Paris).